As the ECS Director of Spiritual Care, Rev. Nancy Cormack-Hughes is responsible for the spiritual well-being of healthcare staff, patients and their loved ones at St. Mark's Hospital and other facilities served by ECS chaplains. Rev. Cormack-Hughes is a graduate of Princeton Theological Seminary with a Master of Divinity with Emphasis on Pastoral Care. She was Board Certified with the Association of Professional Chaplains in 2017 following her Clinical Pastoral Education Residency at St. Mark’s Hospital. An ordained minister in the Presbyterian Church (USA), Rev. Cormack-Hughes has a wealth of hands-on pastoral experience and community service experience. Rev. Cormack-Hughes is married to the Rev. Philip Hughes; together they have three adult daughters and one son-in-law who live between Vancouver B.C, Salt Lake City, and Washington D.C. Nancy loves spending time with her family, especially when it is on a trail or beach or in a coffee shop. In addition to enjoying depth of conversation, listening to spiritual journeys, and discussing individual theologies, Nancy is an avid outdoor enthusiast. Her sports of choice include running, swimming, and hiking; she has done ten half-marathons and swam in open water competitions. When she is not active, Nancy loves reading the New York Times, the Wall Street Journal, and a wide variety of good books. She is active at Mt. Olympus Presbyterian Church, serves on the Council of the Presbytery of Utah, is a regular supply preacher for various churches in the community, and is involved in local interfaith dialogue discussions. Rev. Nancy Piggott has been a familiar face in Clinical Pastoral Education (CPE) at St. Mark's Hospital for more than nine years. She is the ACPE Certified Educator for the CPE program. The Association for Clinical Pastoral Education (ACPE) is recognized as the industry standard for spiritual care and education. ​The Spiritual Care Department at St. Mark’s Hospital is staffed with stellar graduates of the ACPE CPE program. Other graduates practice the art of soul retrieval in hospitals far and wide from along the Wasatch Front to New York City to the US Navy Air Corps to the US Marines. Rev. Piggott says that nothing gives her more satisfaction than to see her students become the chaplains she dreamed they can be. Rev. Piggott received a Master of Divinity degree from Pacific School of Religion in 2006. She began her career in chaplaincy soon after as the sole chaplain at Salt Lake Regional Medical Center, simultaneously completing her requirements for ordination, ecclesiastical endorsement, and APC Board Certification. In 2009 she was recruited to St. Mark’s hospital for Certified Educator training by The Rev. Lincoln Ure. She received her certification as an ACPE Certified Educator in 2012, and has since been serving in that role. Following Rev. Ure’s untimely death in June, 2016, Rev. Piggott served as Acting Director of Pastoral Care at St. Mark’s Hospital until Rev Nancy Cormack-Hughes succeeded her in May 2018. She received the prestigious Lifesaver Award from the Pacific Region of ACPE in 2016 and is currently serving on the Regional Accreditation Committee for ACPE. Rev. Piggott oversees the evening extended CPE Unit at St. Mark’s Hospital in addition to Winter, Summer and Fall day Units. She also accepted a Certified Educator Candidate whose curriculum began in tandem with the 2017 Fall Unit – making her schedule a very busy one! Stephen F. Hutchinson is the Chancellor and General Counsel to the Episcopal Diocese of Utah and the Episcopal Church in Navajoland, Executive Director for Episcopal Community Services, and Board of Trustees Member for St. Mark’s Hospital. St. Mark’s Hospital was founded in 1872 by the Episcopal Church and operated by the Church until its transfer to HCA in the late 1980’s. With Chancellor Hutchinson’s careful oversight, elements of the sale continue to preserve the exceptional heritage of St. Mark’s in Utah, including keeping the hospital’s name, maintaining a full-time Chaplain at the hospital, and funding the Clinical Pastoral Education program, among other details. Chancellor Hutchinson is a lawyer with the law firm of Lowe, Hutchinson & Cottingham in Salt Lake City. Previously, he has served as general counsel to an international nonprofit organization, as Chief Disciplinary Counsel to Utah State Bar, as a partner in the law firm of Kipp and Christian, and as Executive Director, Utah State Bar. He also recently completed a six-year term on the Executive Council (Board of Trustees) of The Episcopal Church. Michael Herron is the Chief Financial Officer and the Ethics and Compliance Officer at St. Mark’s Hospital. As Administrator, he oversees the Spiritual Care Department and the Clinical Pastoral Education program. Michael has a BS in Corporate Finance from the University of Utah and an MBA from Utah State University. He is also a Certified Public Accountant and served an LDS Mission to Thailand. He is married and has four children. Michael has more than thirteen years of experience in healthcare finance and management. He is passionate about using his skills and talents to bring excellent patient care to St. Mark’s patients and families. He can often be seen out on the patient units of the hospital, checking in with families and ensuring that we are meeting the goals of our mission and vision. Julie Vesely is interested in practices that discern inner wisdom, strengthen compassion, alleviate suffering, and that deepen relationships with the Holy. She completed the accredited Clinical Pastoral Education (CPE) program in 2013, and has since been working as a Staff Chaplain at St. Mark's Hospital. Julie teaches students bout Jungian shadow, Enneagram personality theory, understanding addiction and grace, and stages of spiritual growth. She is also a trained SoulCollage facilitator and Veriditas trained labyrinth walk facilitator who enjoys bringing inspiration, beauty and creativity to others. Julie facilitates an Art and Spirituality group weekly in St. Mark's Behavioral Health Unit. A lifelong explorer of many spiritual traditions, Julie connects with patients and their families whatever their beliefs, whatever brings them meaning, or wherever they are on their unique paths. Julie has a non-directive and open multi-faith (or no-faith) approach to spiritual care. Rev. Cathy Schreiber began her ACPE journey in Atlanta, GA as a Chaplain Intern at St. Joseph’s Hospital (2009) and Children’s Healthcare of Atlanta (2010). 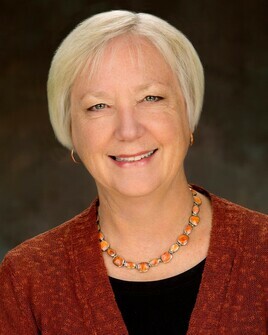 After moving with her family to Salt Lake City, Cathy was asked to serve as an ACPE Resident Chaplain at St. Mark’s Hospital (2012) under the supervision of the Rev. Nancy Piggott and Fr. Lincoln Ure. Upon completion of her residency and accredited CPE program, she continued her spiritual care practice at St. Mark’s Hospital, Huntsman Cancer Hospital, and Promise Hospital in Salt Lake City. In 2015, Cathy was recruited to build an ECS Spiritual Care program and serve as Lead Staff Chaplain at Lakeview Hospital in Bountiful, Utah. While serving in this capacity, she also completed two ACPE Supervisory Observation Units in the evening extended CPE unit at St. Mark’s Hospital under the supervision of Fr. Lincoln Ure and the Rev. Nancy Piggott. Cathy returns to St. Mark’s as a full time Certified Educator Candidate in Summer, 2018. Cathy is an ordained minister in the Presbyterian Church (USA). She received a Master of Divinity degree from Columbia Theological Seminary in 2008. She received her Board Certification in 2018.